UPDATE: The girlfriend of a Fall River man who was melting fillings that contaminated a building on Hamlet Street is speaking out. According to WJAR 10 News, the man was bored at home and the couple lost their truck and they needed another vehicle. The woman also states another cat has died. Both her and her daughter had to go back to the hospital due to contamination. She is hoping he will pull through and knows he will be devastated once he finds out what has transpired. Here is our story from Saturday. 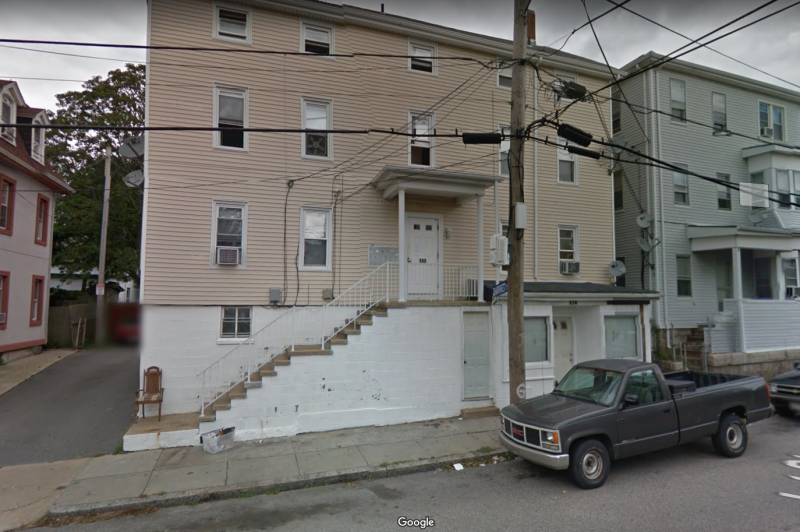 Mercury has sickened three pets and residents at a Fall River apartment building this week including two that were sent to the hospital. According to District Fire Chief Michael Clarke, January 25th a 51 year old resident at 104 Hamlet Street was melting dental crowns believing the crowns were made of silver. The crowns, however, were made of mercury. The old crowns appeared to be from his grandfather who was a dentist. Since that time, three pets have died. One dog and two cats. On January 28th the resident who was melting the crowns became ill and brought himself to the hospital not realizing why he was sick. A call came in shortly after noon time today (Saturday) concerning the mercury. When the Fire Department arrived and determined what had transpired, Clarke notified Michael LePage and Inspector Hathaway from Massachusetts Hazmat of the situation. A 17 year old girl, while not ill, was deemed to be contaminated and was sent to Rhode Island Hospital. Hazmat deemed the building uninhabitable until the owner can schedule a cleaning crew to the dwelling. Clarke stated that the cleanup will be extensive due to the contamination being imbedded into the rugs and such. To give a reference of how high the apartment was contaminated, Clarke stated that the reading of mercury came in at 106. A typical thermometer would read in the single digits, and much easier to clean up. Residents were making arrangements on getting a place to stay. Fortunately, the responders at the scene tested negative for mercury contamination. so a tenant is melting down mercury, contaminates the building, puts other tenants at risk, and now the landlord is responsible for the clean up?? No charges to the tenant?